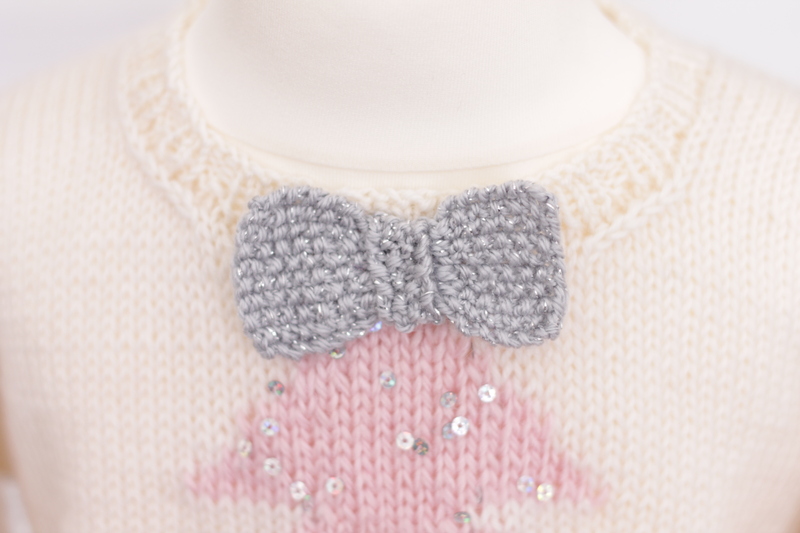 Who can resist a little person in a cute knit? Not me! I am a tiny bit addicted to reindeers this year, you may have seen one or two pop up in some of my designs. I was looking for a way to add a touch of festive to a simple sweater and it hit me….. REINDEER. This cute sweater is a classic drop shoulder construction, worked from the bottom up. The pockets are worked separately, you can either work them using the intarsia method. Or if you fancy giving swiss darning (or duplicate stitch as it sometimes known) a try, then this is the perfect project for you. The pattern is written to fit chest sizes 53 – 73.5cm, which is approx. 12 months to 11 years. You can find the pattern inside issue 141 of Simply Knitting magazine. As always I would love to see your finished projects. I am always looking for new things and new ways to yarn bomb the everyday objects around the house. The silly season is the perfect opportunity to take things to a new level of daft, all in the name of Christmas! I designed these festively themed flower pot covers for Simply Knitting magazine and you can find the pattern inside issue 139. If you are still looking for that last-minute special gift, I might just have very design for you. 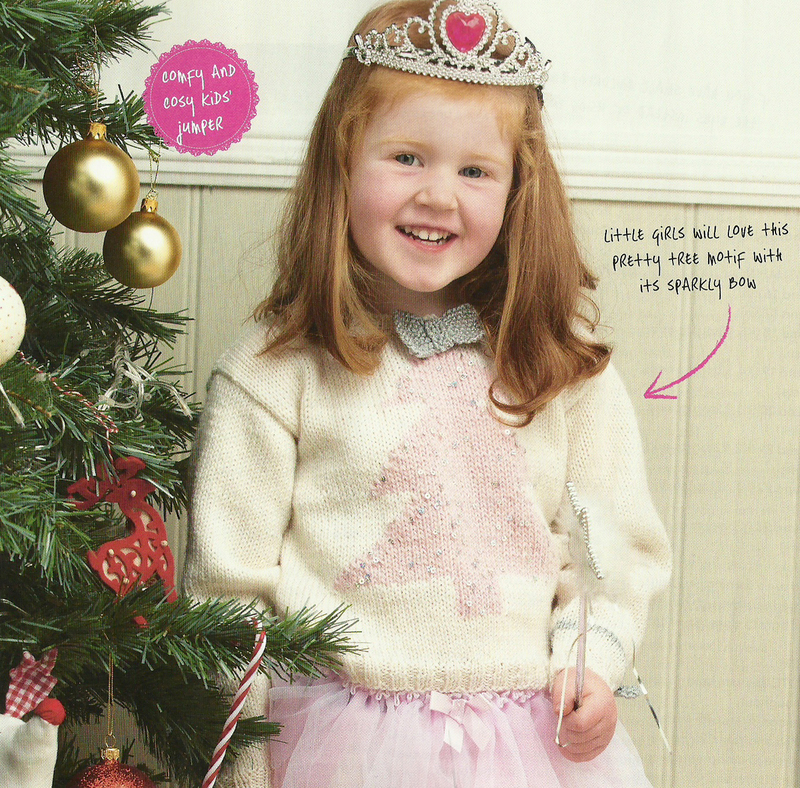 Little Ginger is a super quick knit which is designed to fit 3 years to teens. The hat is worked from the ribbing up with simple decreases. This version is knitted using Rico Soft Merino Aran which really was butter soft and a delight to work with. Why not swap the pink for blue? 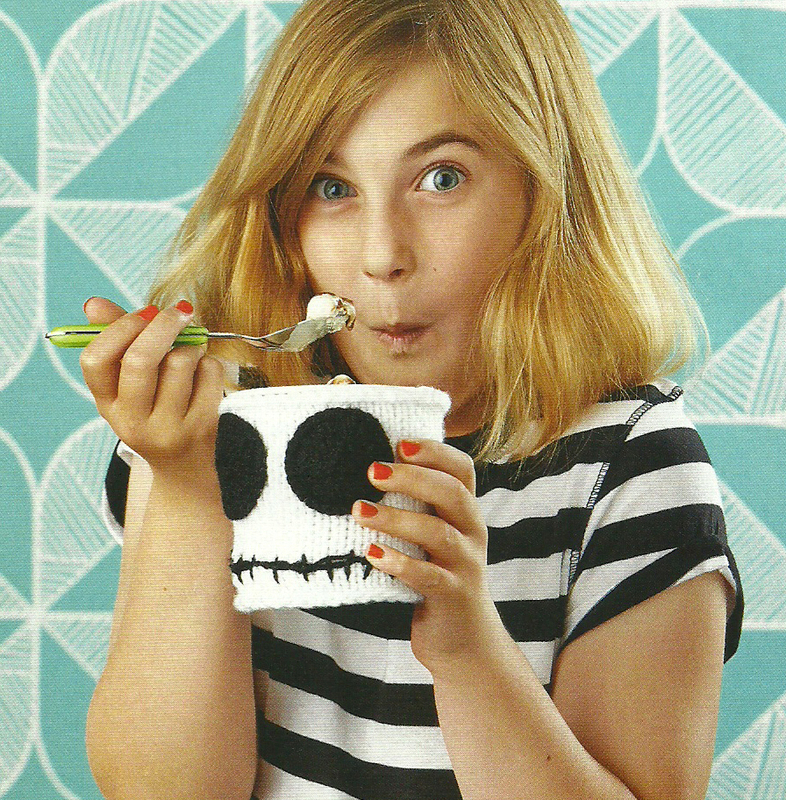 You can download Issue 87 of Let’s Knit Magazine here. With its twinkling Christmas tree motif this is guaranteed to delight the little Princess in your life. The pattern is written for chest sizes 55, 58.5 and 63.5cm which is approximately 3-5 years. This is a traditional style drop shoulder sweater, worked from the bottom up. It is a very straight forward knit and would suit a keen beginner. The sparkly tree is worked using the Intarsia method and King Cole Galaxy DK yarn. If you prefer to knit this in a plain yarn, you can easily substitute another DK yarn. Why not knit one for a little Prince? 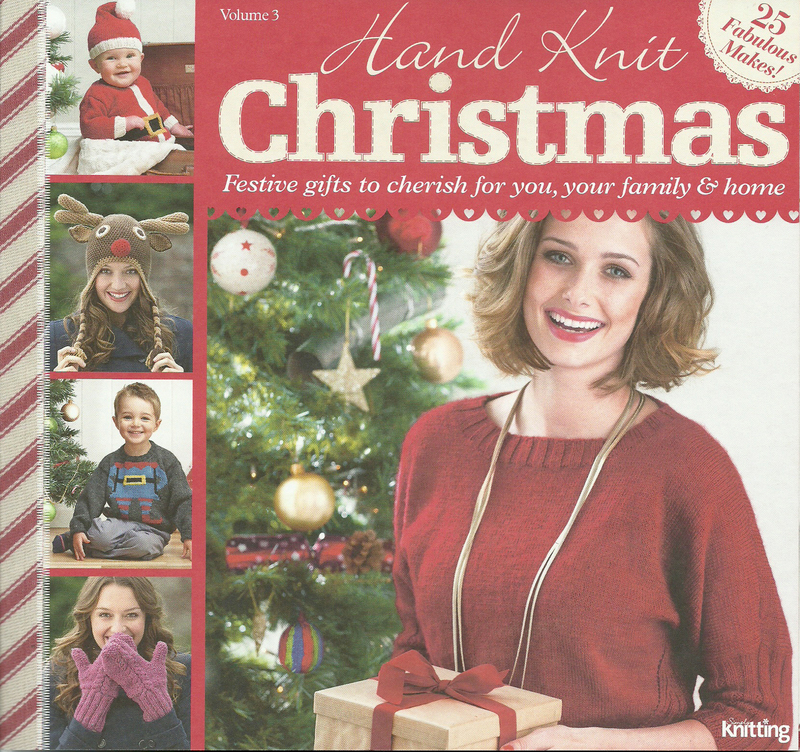 You can find the pattern inside the Hand Knit Christmas supplement which is free with issue 125 of Simply Knitting Magazine. You can download your copy here. Mr Not So Frosty is worked in the round in chunky yarn, making him a super quick knit. He would make a perfect gift (never say I don’t help you out with your Christmas planning). Of course I have designed a silly Christmas Jumper for the man in your life. Introducing my Elf Yourself Sweater. 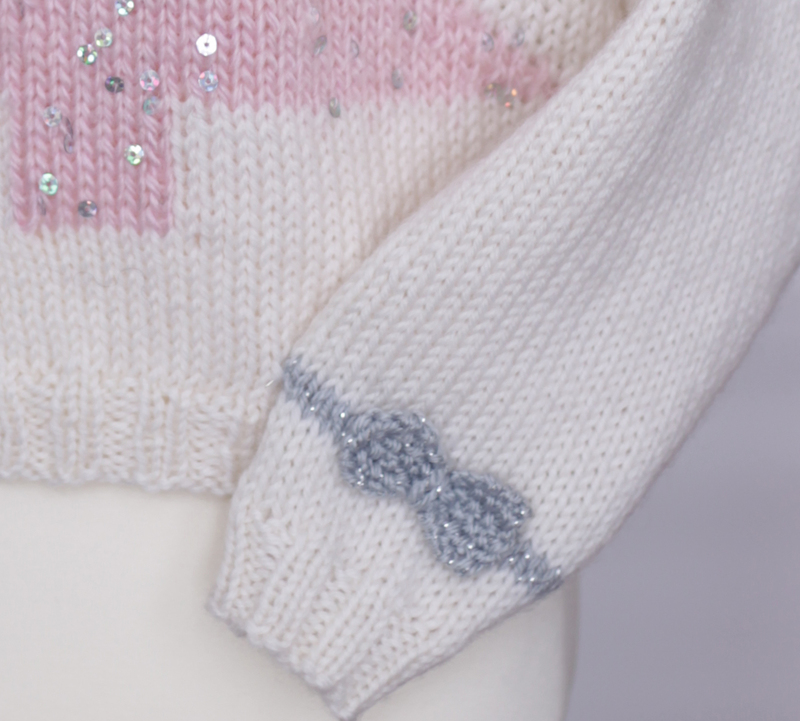 This charming sweater is a traditional drop shoulder sweater with an Intarsia Elf motif. To make this a little easier on yourself I highly recommend swiss darning the belt buckle and black outlining on rather than using Intarsia. I know how you all secretly love a good Christmas jumper! I have been a busy girl creating three such delights for your little people. This is a traditional style drop shoulder sweater, worked from the bottom up. It is a very straight forward knit and would suit a keen beginner. If you would like to make life even easier for yourself, I recommend that you swiss darn the buckle details on, rather than intarsia. The pattern is written for chest sizes 43, 45.5, 48, 53 and 55cm. Which is approximately ages six months to 3 years.